In addition to the following article titled “Statewide real estate markets improving” that appeared this week in the Vail Daily on June 24, 2013, by Randy Warwick, another conversation we had with an EagleVail For Sale/Rent by Owner and his experience in selling/renting his property is worth noting. The subject property is located directly on busy US Highway 6, the main road connecting Avon to EagleVail and Minturn and once the only way east and west before Interstate 70. The homeowner/rental owner decided to give it a try to sell it himself and while the phone didn’t ring off the hook, one party interested in renting the home made a cash offer within 3% of listing asking price. What is interesting and becoming more common is qualified renters are more likely to seriously consider buying or buying with an option to purchase now that they have experienced first hand the tightening rental market and lower inventory of available homes. At the moment the perception is prices have stabilized in the desirable locations, interest rates impacting the cost of ownership are more likely to rise steadily in the near term and nobody wants to pay more than they need to get a decent place to live. We believe the pent up demand for housing, attractive pricing, low cost of financing are contributing to price stabilization and/or appreciation we are seeing in the marketplace now. Will the trend continue for another 12, 18 or 24 months adding annualized appreciation of 2 to 5% or even better, only time will tell. If you are considering home ownership or a rental in the Eagle River/Vail Valley, please contact us today to learn how we will help you identify the right property, at the right price and transacting at the right time to maximize your purchase power. Improvements in the local real estate market reflect state trends. The Colorado Division of Housing said foreclosures dove 50 percent in May, while home loan payoffs surged. listings coming to market is down 13 percent from last year, and active inventory is down over 34 percent from last year. trends which are best navigated through the use of a local Realtor,” said Julie Retzlaff who chairs the Vail Board of Realtors. Bank is considering tapering the $85 billion it’s spending each month to buy mortgage-backed securities and other debt. first quarter of last year. smallest increase at 12.5 percent. increases, and rising release totals typically indicate increases in the demand for home loans and real estate. May in any year since the Division of Housing began collecting monthly totals in 2007. 720. During the same period, foreclosure filings dropped from 2,249 to 1,113.
compared to the same period last year. Foreclosure auction sales were down 29.4 percent across the same period. McMaken, an economist for the Colorado Division of Housing. 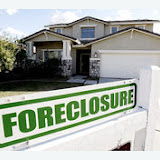 foreclosures that have been sold at auction, ending the foreclosure process.